THEN YOUR FRIEND GETS IN A HORRIBLE RELATIONSHIP…AND YOU CAN’T SAY ANYTHING!! I’ve seen it myself — you try to subtly bring something up (“Hey man, do you think it’s weird that she doesn’t let you order steak?”) and he instantly becomes defensive. Sigh. People do not want honest feedback about their relationship because their intimate partner becomes more important than their friends. As the old rule goes, if you don’t like the relationship, you bring it up once and never again. If you want to stay friends after that, you support their relationship, however much you don’t agree with it. Usually, these disastrous relationships end (or worse, they get married…that is a long, long life). And it all could have been fixed with some honest feedback if they were ready to hear it. The way you GIVE feedback is as important as the feedback itself. In this post, I’m giving you a word-for-word script you can use to get honest feedback from your friends and family — feedback that will let you in on the conversation they’re already having about you, sometimes involving them rolling their eyes when you go to the bathroom. You want to know how to improve yourself? You have to ask. What would happen if you sent this to 3 people today? This email is the kind of thing NOBODY else does. And it can pay off in massive rewards. What if you found out that you tend to ramble on and on, and everybody hates it? You would never know unless you asked — and now you can fix it and move on. You’ll also get to find out what people LOVE about you, which is something we don’t get to hear enough. This email works because you’re transparently telling people what you’re looking for, acknowledging it’s a little weird, AND asking for one positive and one constructive piece of feedback (can anyone spot why I chose that?). agreed very much on this point. however, there is an instance it’s still the right thing to do: to protect your own self. applying this to more adult or relational scenarios, it’s never bad to tell someone they are in a bad relationship simply to gauge their reaction for the sake of plotting your own actions. if she said “yeah, i know, actually, i’m moving to my cousin’s house, can you help me carry some stuff out of my place while he’s _____ on saturday?” you know exactly what you are doing that saturday & that you’ll cancel anything in an instant to help them carry boxes out that doorway. what is more likely: that person will say something to show they are not going to do a thing to save themselves. when someone says something/tells you something that they won’t lift a finger to save themselves, you know right there: pay the dinner check -or at least your part of it. tell them you had an awesome time hanging with them. go home. cry to yourself privately the grief & pain you know that person is going to experience in their own future and the fact you’ll likely never see/talk to them ever again.. and resume getting on with your own life. point being: sometimes there is benefit to keeping the above ‘promise’. 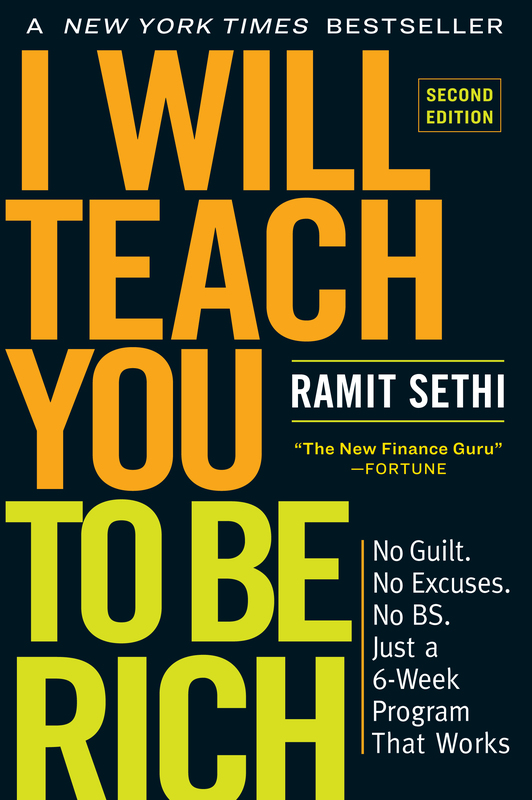 love your stuff Ramit. thank you for what you share & what you do! Great idea just email out to 20 people I value input. Bad relationships are the worst you get one shot to have impact and then your friend is crying 6 months later. Feedback is important for growth. I meet people dressing like it’s 1992, and have changed jobs, behavior, careers, clothes or activities since high school. It’s sad because no one is speaking into their life. Being nice is easy. Really easy. Do it, and you’ll open doors that rude jags never see. As for feedback I feel most folks lack clarity in their lives. Sure, you can get AWESOME feedback using that email approach, from fam and friends, but if you get clear on your endless rambling, you’ll not care about it, and you’ll attract endless ramblers as friends, and like will keep attracting like, and you’ll be happy. As will your gabby friends, lol. We always have all the guidance and feedback we need from within, but our lack of clarity blocks it…..this is where we can keep doing the inner work, to clear our stuff, and of course, this is where good friends can help us out. Superb idea, Ramit! In one fell swoop you both get direction for personal growth, and also develop bravery in the process. It takes guts to ask for feedback! I really like this idea, and I tried it for the first time last year around this time. Really, really great feedback I got from family and friends. I find that most of the people I know aren’t exactly the ones who just openly give feedback…I’m pretty sure most relationships are like that for people I guess. It was a really life changing exercise and I got feedback I just never would have expected about my personality and mannerisms. I’m reading your book right now, and it’s excellent! I was hoping you might write a post about your opinion of acorns. Its a popular app right now and I’m curious to hear how you feel about it. I was hoping to find a review too. Acorns seems like it is right in line with Ramit’s principles. Would love to get his thoughts as well. Ramit, about bad relationships, you are spot on about saying it once and then never again, but there are good ways and bad ways to deliver the message to a friend. When I was in a bad (verbally abusive) relationship, a long time ago, I just wanted someone to tell me it was OK to leave, that it was OK to change my mind after professing my love for someone, that I didn’t need to be afraid of feeling like a fool in front of my friends and family, that my life might be better if I did so – in short, I wanted permission from someone I trusted. If someone had done that for me, I would probably have left a lot sooner. Conversely, if someone had said “You’re boyfriend’s a jerk,” I probably would have defended him, and what was meant to be a helping hand from a friend would instead be received as blame by association. Now, many years later, a good friend of mine is in a bad relationship, and one day she was explaining the difficulties she was having (he stole her gmail password and was reading her emails, but “I love him so much,” and “Maybe he’s right,” etc.). At one point, I shared the story of what I would have wanted to hear if I were in her position and then said, “Do you want me to give you permission to leave?” She paused for a bit, thinking it over, and said no. I never brought it up again, but at least I gave her space, in that moment, to consider what was right for her. Since then, I support her and respect her choices because they are her choices. Sometimes we just need permission to do what takes courage, even if we’re not ready to take it in that moment.